Jon Zufelt, Ph.D., P.E., CFM, D.WRE, F.ASCE, a senior hydraulic engineer with HDR in Anchorage, AK, has been elected a Fellow by the ASCE Board of Direction. Zufelt’s focus is on cold regions hydrology and hydraulics, river engineering, coastal and riverine bank protection, ice engineering, and hydropower. 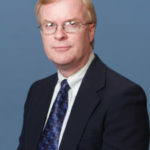 Prior to HDR, he served 30 years with the Cold Regions Research and Engineering Laboratory, where he held positions as research hydraulic engineer, branch chief, technical director for earth sciences and engineering, and civil engineer – first in Hanover, NH, and then in 2001 moving to Alaska to manage CRREL’s Anchorage Office. He is an adjunct professor at the University of Alaska Anchorage, where he also serves as vice chair of the College of Engineering Advisory Board. Highly active within ASCE for decades, Zufelt serves as chair of the Committee on Technical Advancement, editor of the ASCE Journal of Cold Regions Engineering, and a member of the ASCE Convention Advisory Council. 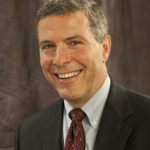 He has served as chair of many ASCE committees, including the Technical Council on Cold Regions Engineering and the Committee on Younger Members, as well as past president of the Upper Valley Branch and New Hampshire Section. He is also a past chair of the United States Permafrost Association and of the Interagency Hydrology Committee of Alaska. He is a member of the Association of State Floodplain Managers and is a certified floodplain manager. His previous honors include the ASCE Daniel W. Mead Prize for Younger Members in 1988, the CAN-AM Civil Engineering Amity Award in 2005, the 2006 Alaska Engineer of the Year, and the 2015 ASCE Harold R. Peyton Award for Cold Regions Engineering. Zufelt received his B.S. in forest engineering from SUNY Environmental Science and Forestry, his M.S. 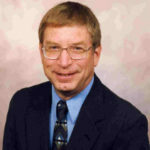 in civil engineering from Colorado State University, and his Ph.D. in civil engineering from the University of Iowa. 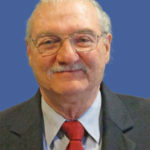 He is a registered professional engineer in Alaska and New Hampshire. He and his wife, Penny, have two grown children and live in Eagle River, AK.